Composite decking is a fantastic alternative to timber decking! It looks great & is cost effective. 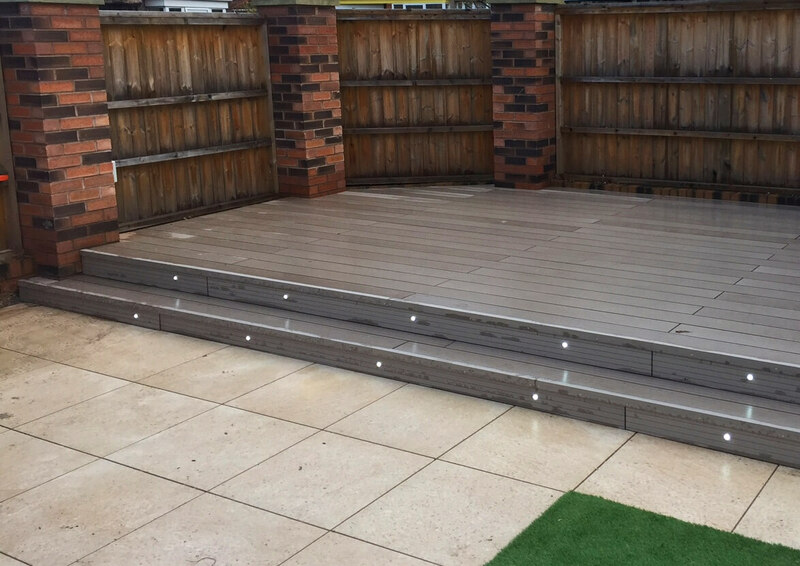 This type of decking hides all uneven grounds and will last for several years once installed this decking is easy to maintain and will look brand new if looked after. 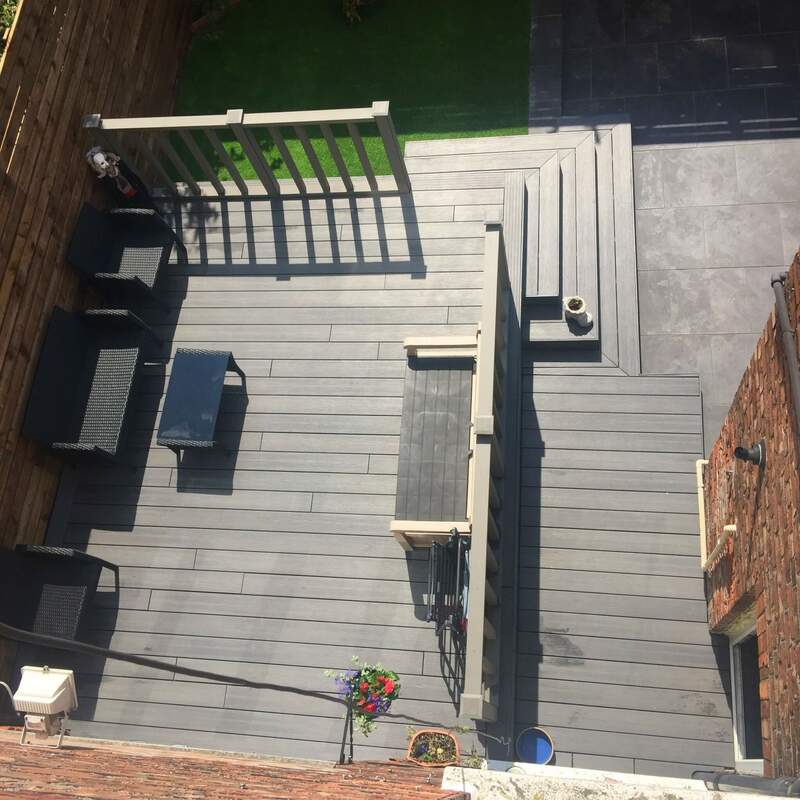 Composite decking has grown in popularity over the past few years – it’s a simple, easy to maintain and looks really attractive in your garden. Composite lumber is a material that is a mixture of wood fibre, plastic, and some type of binding agent. These ingredients are put together to form a material that is denser, stronger, and heavier than wood alone, a wood-plastic composite. Here are a few reasons why you should consider getting composite decking installed by us. High-performance, low-maintenance composite decks combine unprecedented durability and beauty. As a testament to the quality and value of the new generation of wood alternatives. ** Durability: Composite decking is designed for maximum durability. It resists fading, staining, scratching and mould, and won’t rot, crack or warp. It’s also insect-proof and splinter-free, making it safer and more comfortable for families with kids and pets. Safety first: Unlike regular decking, the composite is slip-resistant and splinter-free. Also due to its innovative fittings, no nails or screws are needed to go through the deck itself – so it’s completely barefoot-friendly. Whether you’re worried about budget concerns or you’re hesitant about what the investment could mean to your resale value, composite decking can relieve your stress on both of these matters. Composite decking is a cost-effective product and the quality material will keep your deck lasting long and looking great. ** Low-maintenance: With composite decking, you never need to worry about sanding, staining or painting. Just an occasional soap-and-water cleaning is all that’s needed to maintain stability and beauty for decades. * *Sustainability: High-performance composite decking provides the look and feel of real wood but without the environmental impact. The deck boards are made using recycled content, including reclaimed industrial wood scraps and recycled plastic from common items such as shopping bags, newspaper sleeves and wood scraps. ** Aesthetics: Featuring high-definition wood grain patterns and rich, saturated colours, composite decking looks and feels more natural than ever before. Colour options range from deep earth tones to spicy reds and pristine greys, including tropically-inspired boards that feature the distinctly streaked look of exotic hardwoods. In addition to the range of decking looks available, homeowners also can find a wide selection of composite accessories, such as railings, stairs, gates, pergolas, and furniture, to create a truly customised outdoor space. **Design: Without the use of nails and screws, the deck has a smooth surface, creating a smart and modern feel. Not only is it visually pleasing, composite decking can match the look of traditional timber or exotic hardwood. It also comes in a variety of colours to suit a range of styles and complement your outdoor living space. 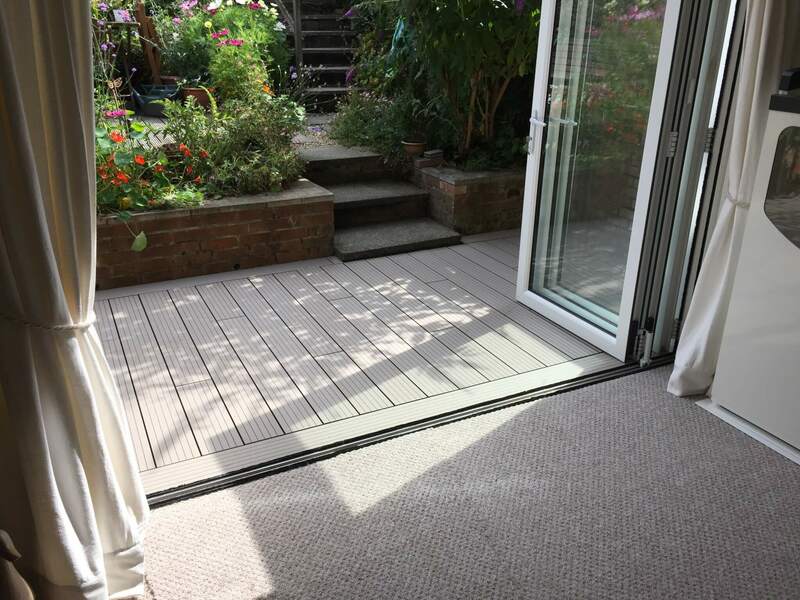 Is composite decking the right choice for your garden? 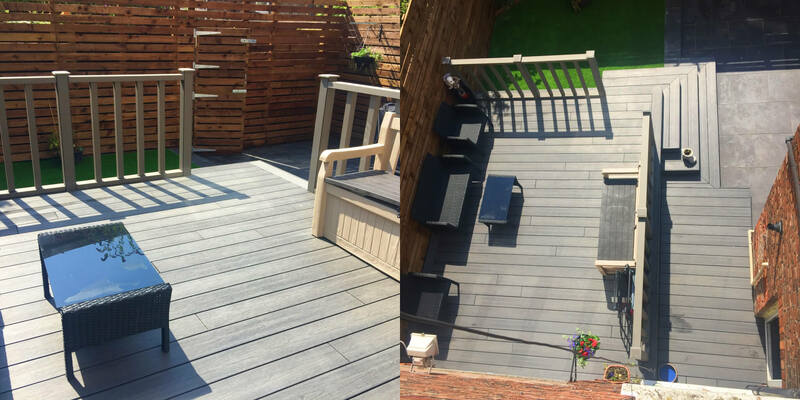 When it comes down to it, composite decking versus traditional decking is a personal choice, but we hope we’ve highlighted all that wood-plastic has to offer, to ensure you choose the right material to suit your project.